Concept of decision making process, logical thinking. Logical tasks. Conundrum, find the missing piece of the proposed. 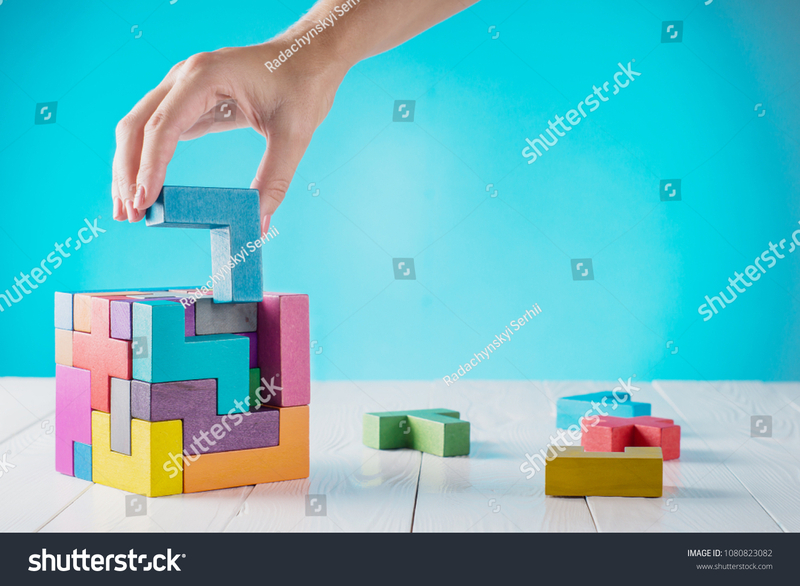 Hand holding wooden puzzle element. Hand sets the last element of the puzzle.